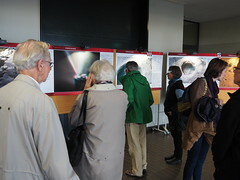 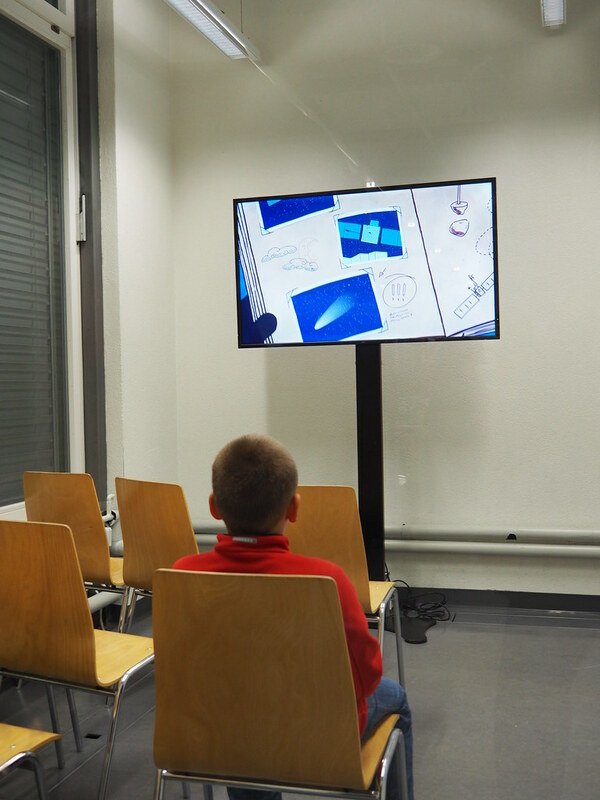 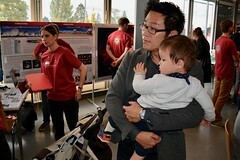 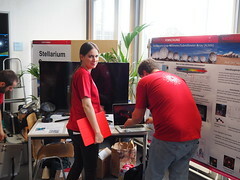 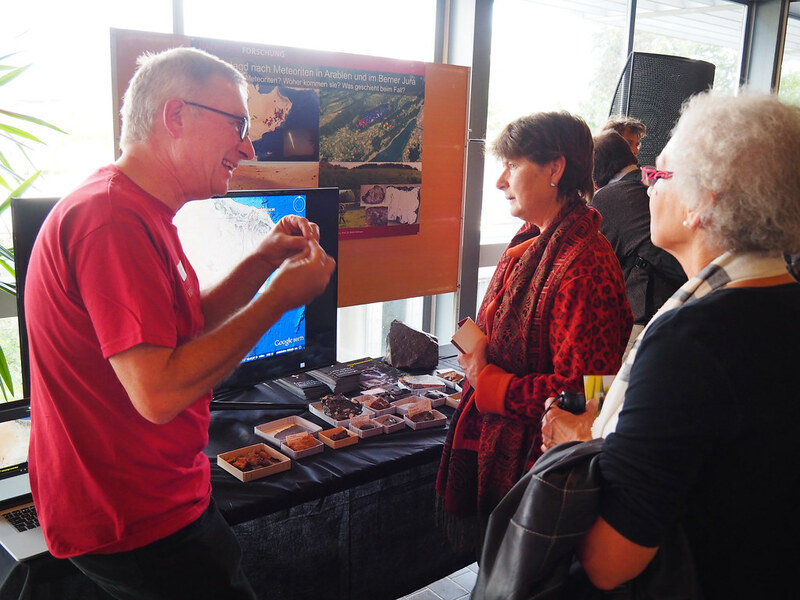 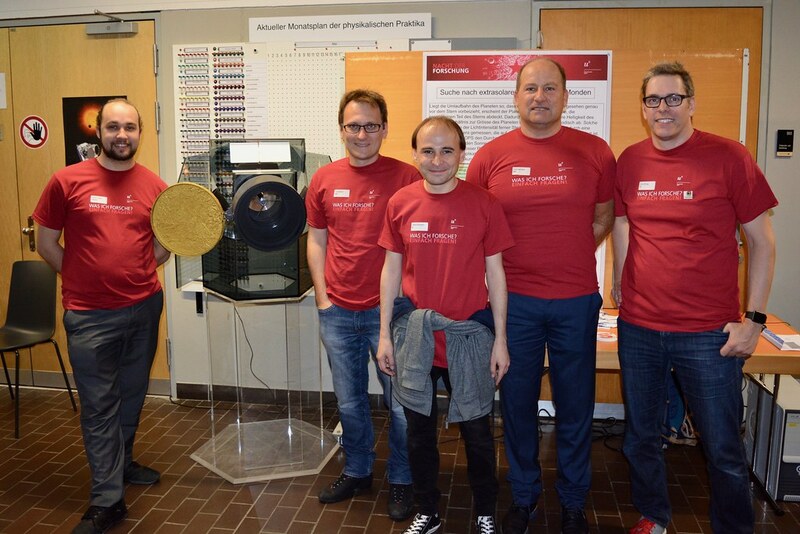 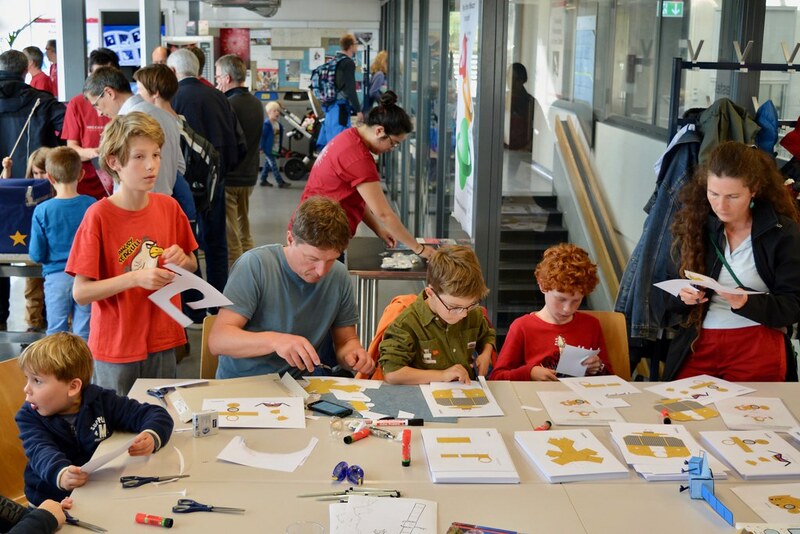 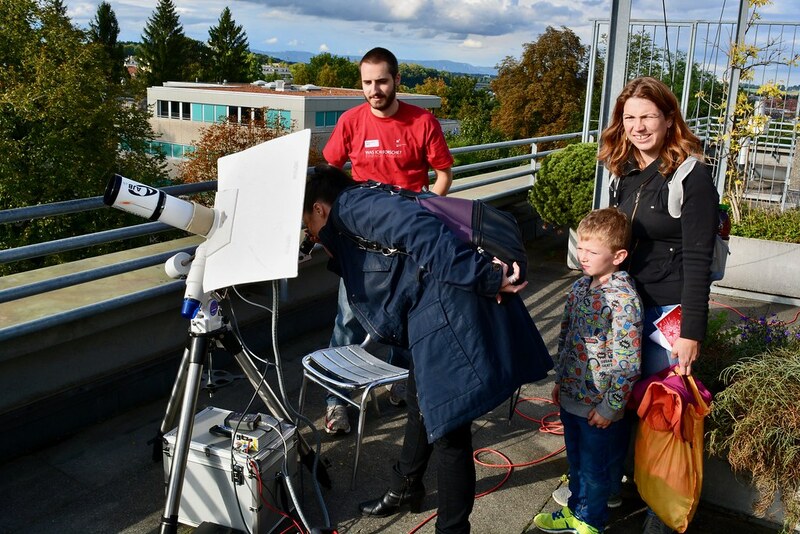 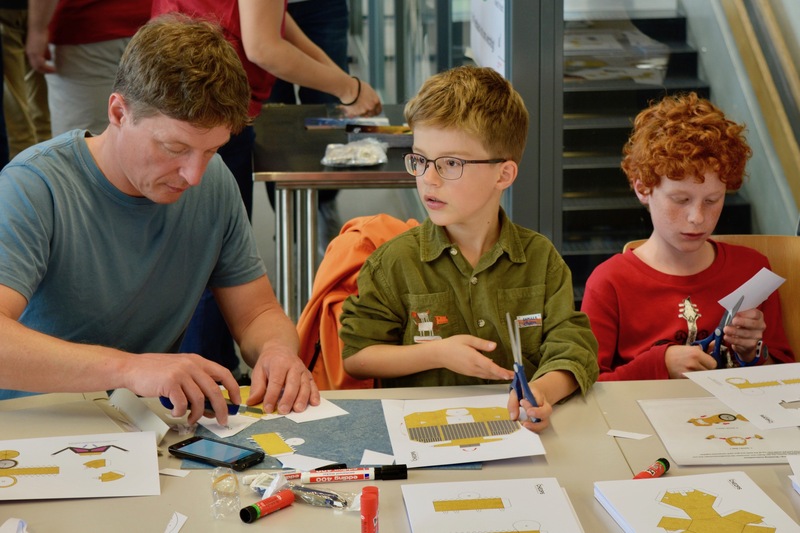 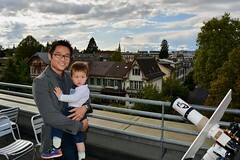 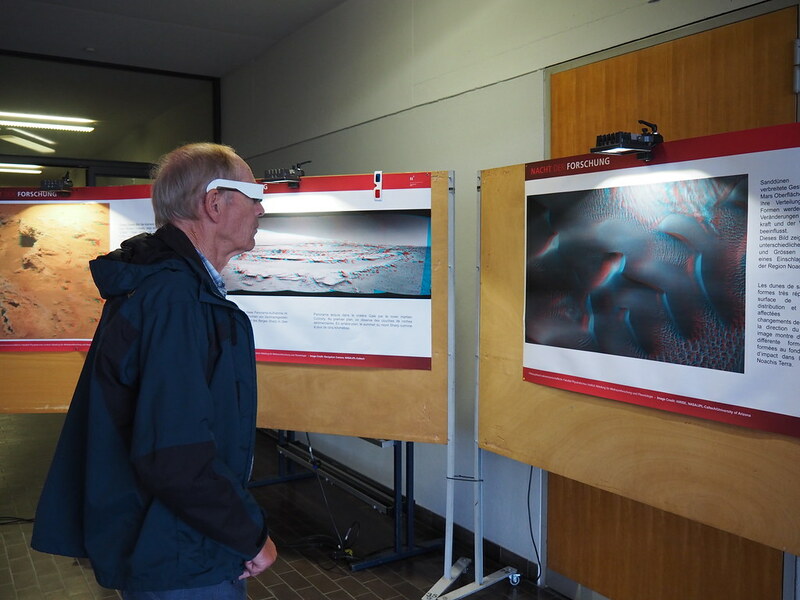 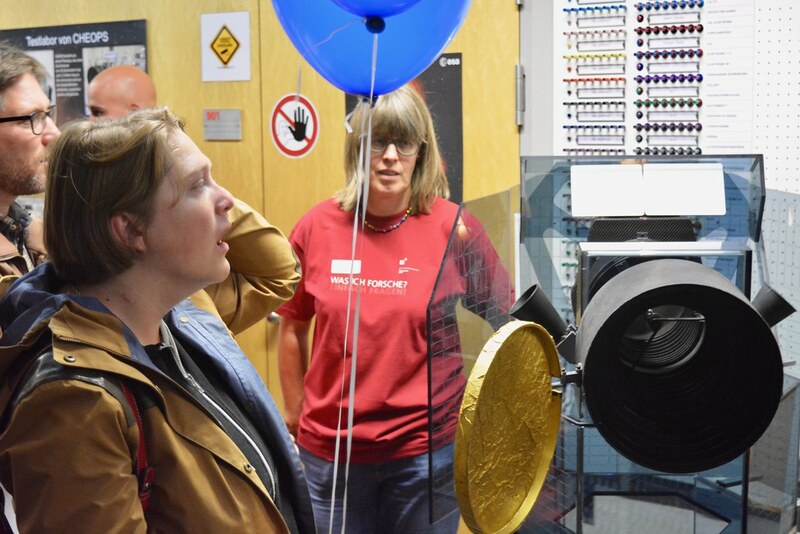 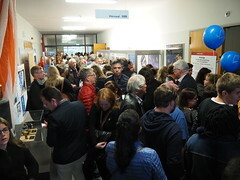 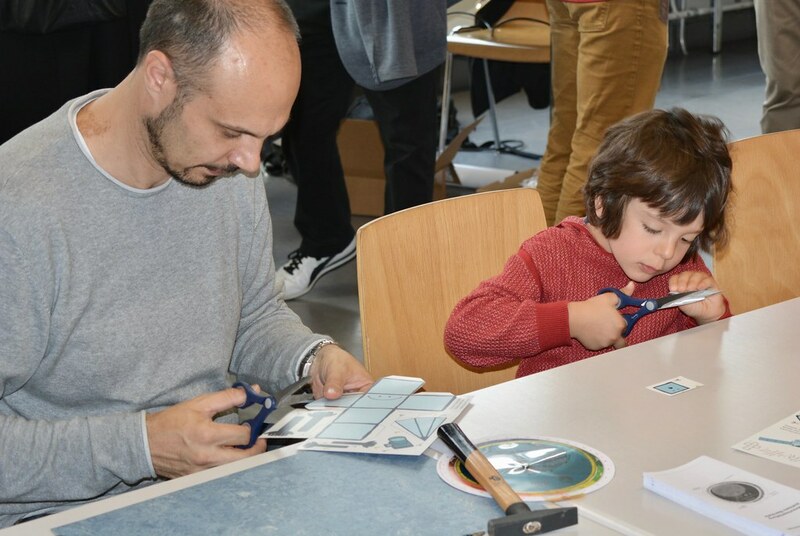 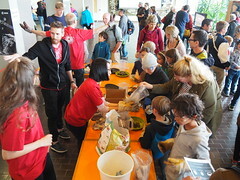 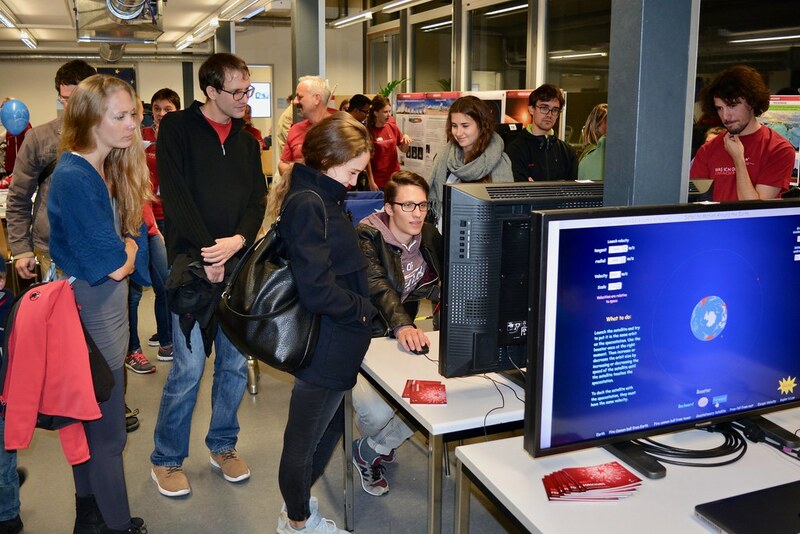 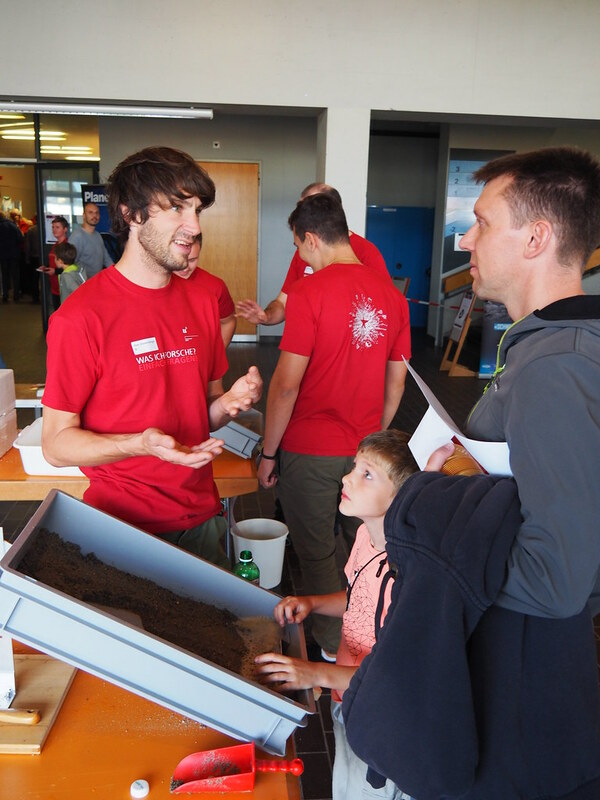 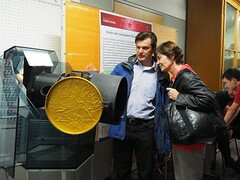 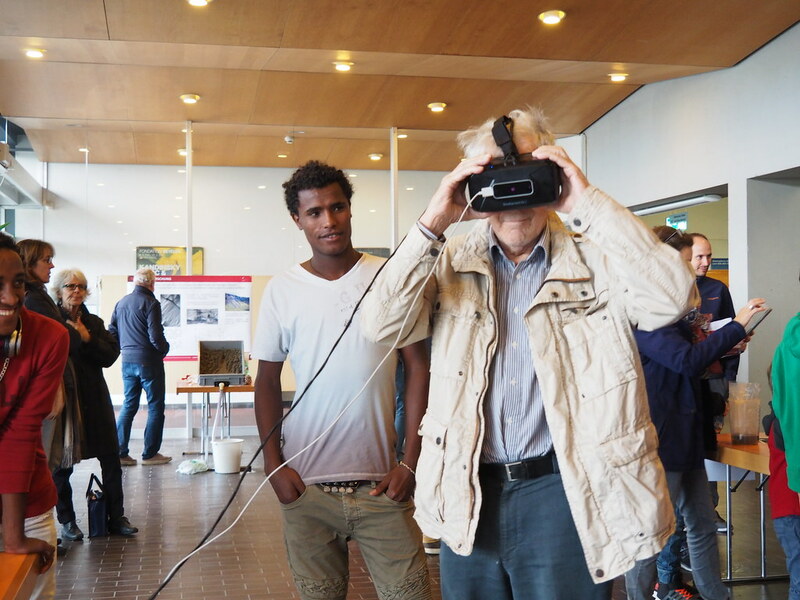 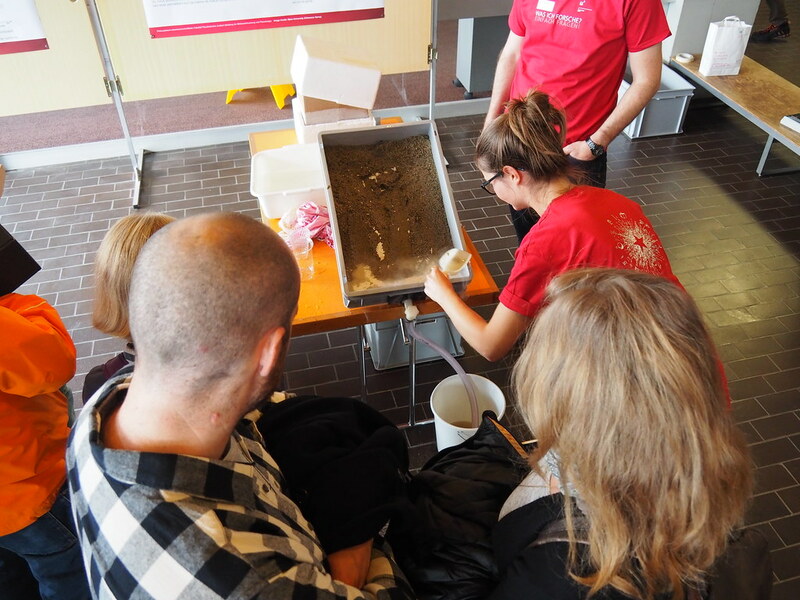 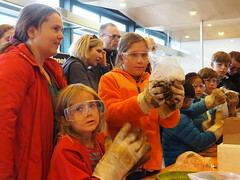 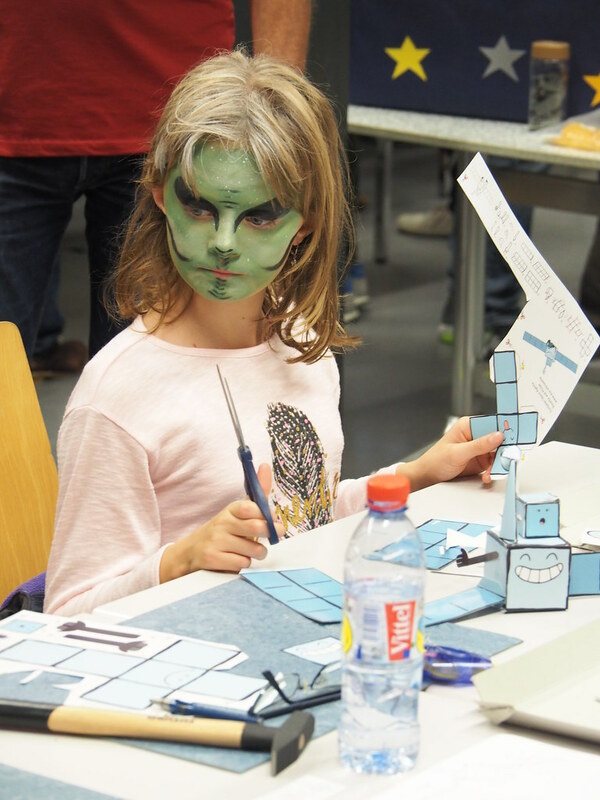 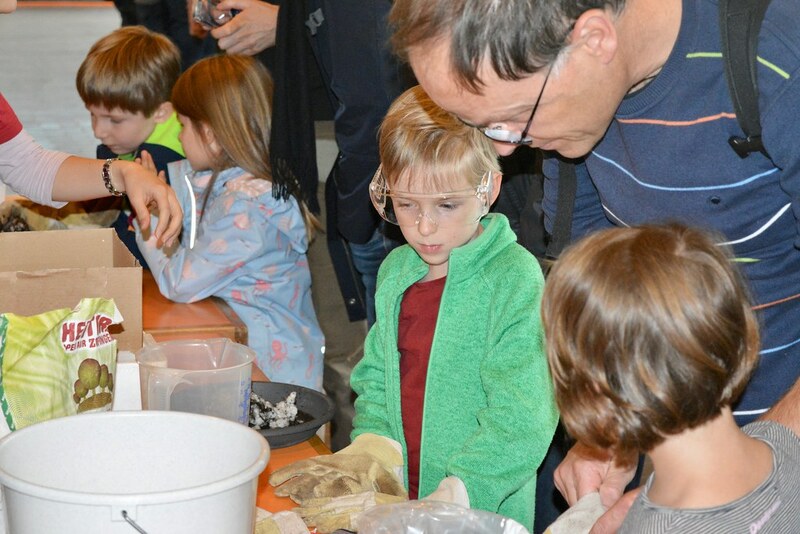 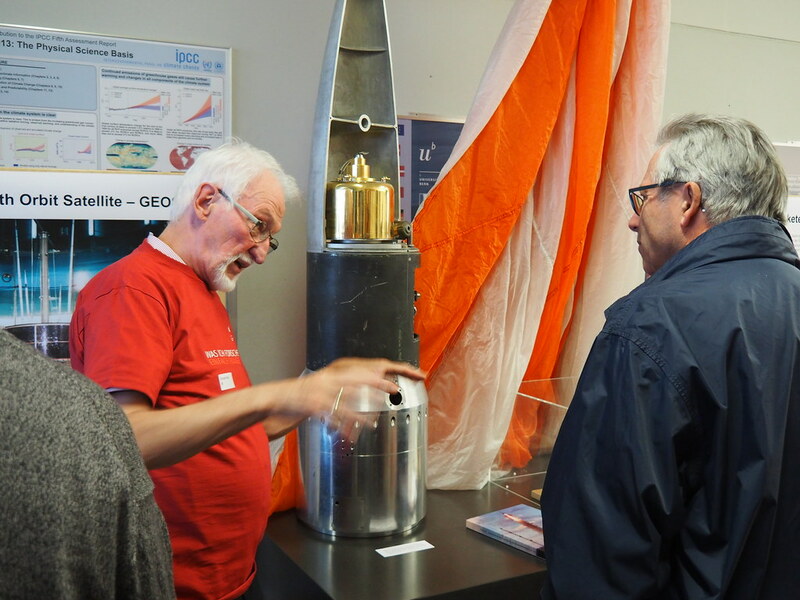 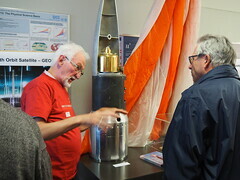 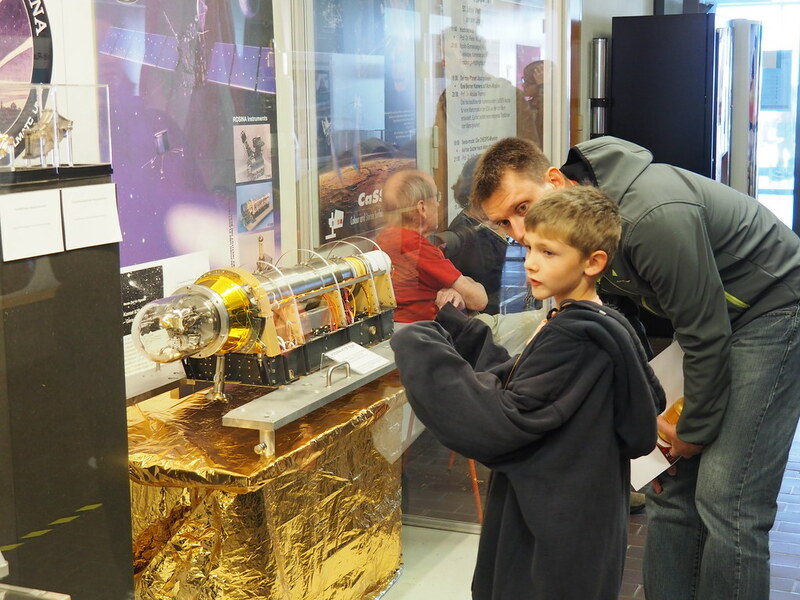 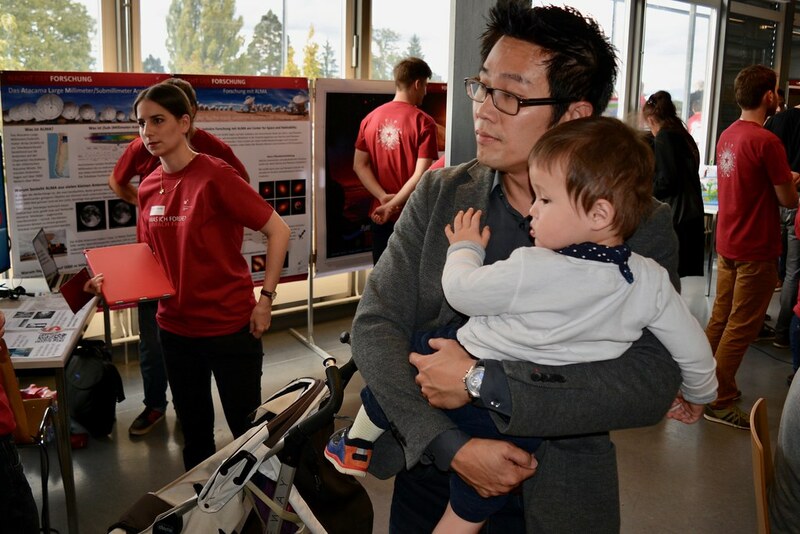 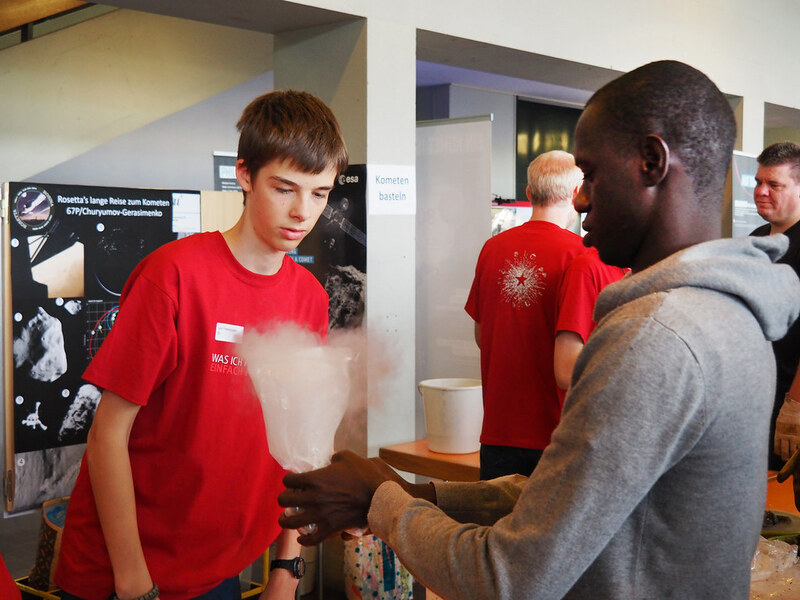 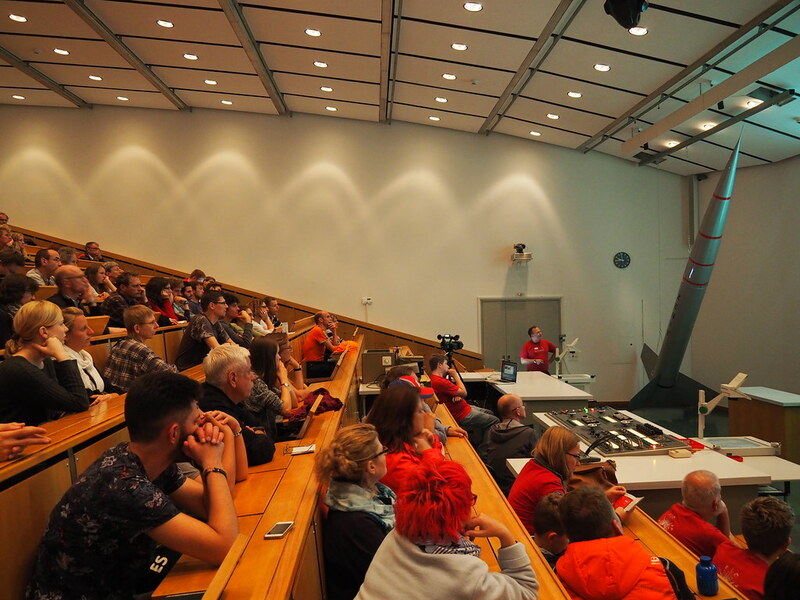 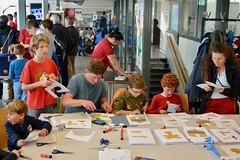 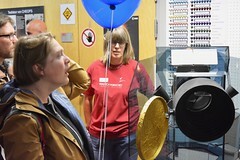 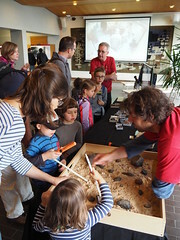 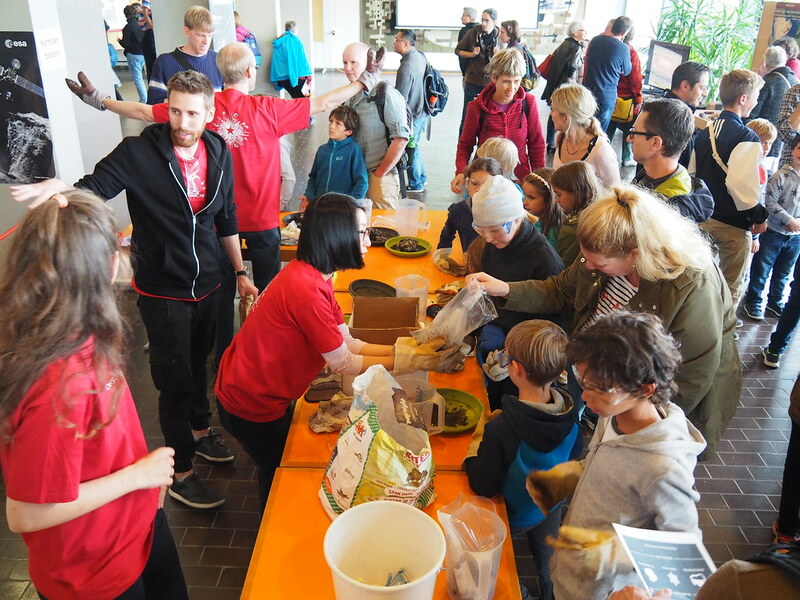 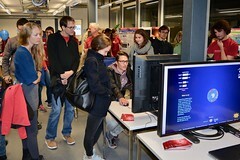 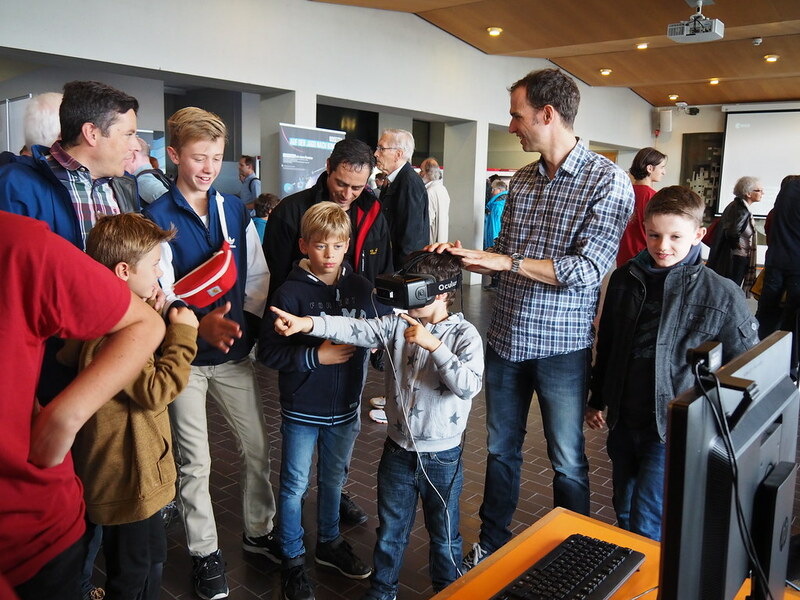 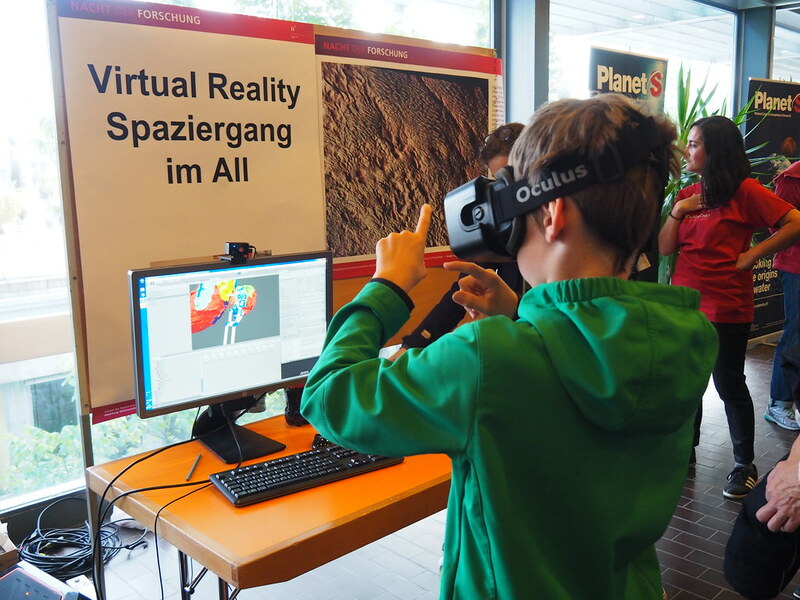 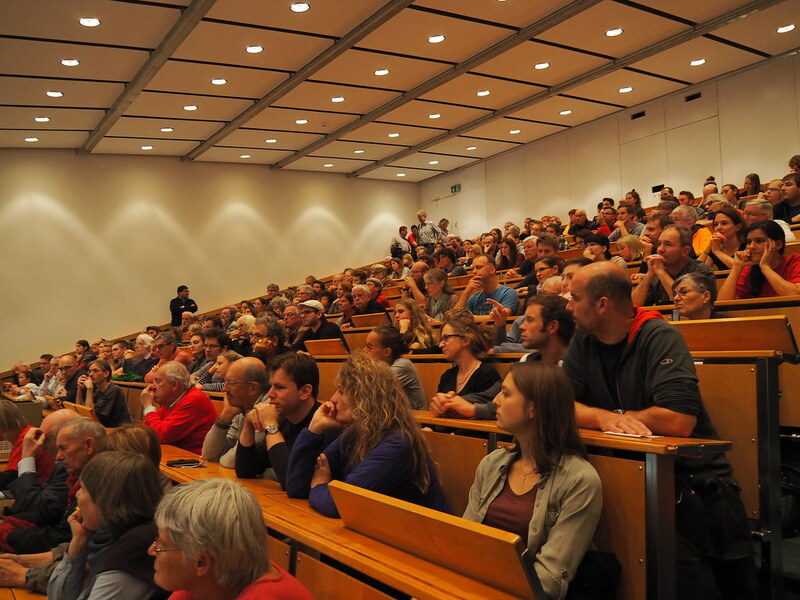 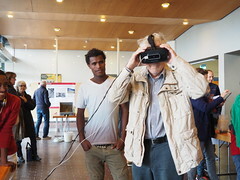 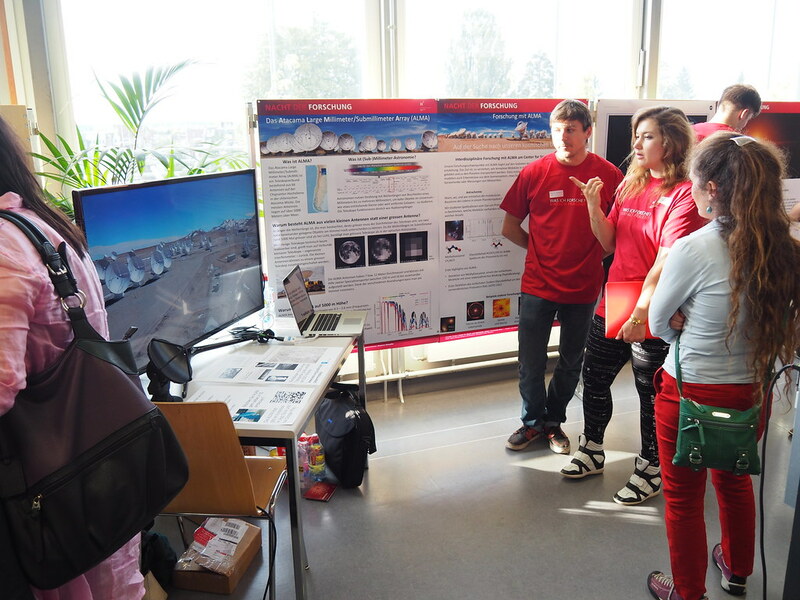 From a historic Zenit rocket and the famous Apollo solar wind experiment to the Mars camera CaSSIS and the CHEOPS space telescope: Many of the 9000 visitors of the event «Nacht der Forschung» on 16 September 2017 at the University of Bern had a look at 50 years of space research. 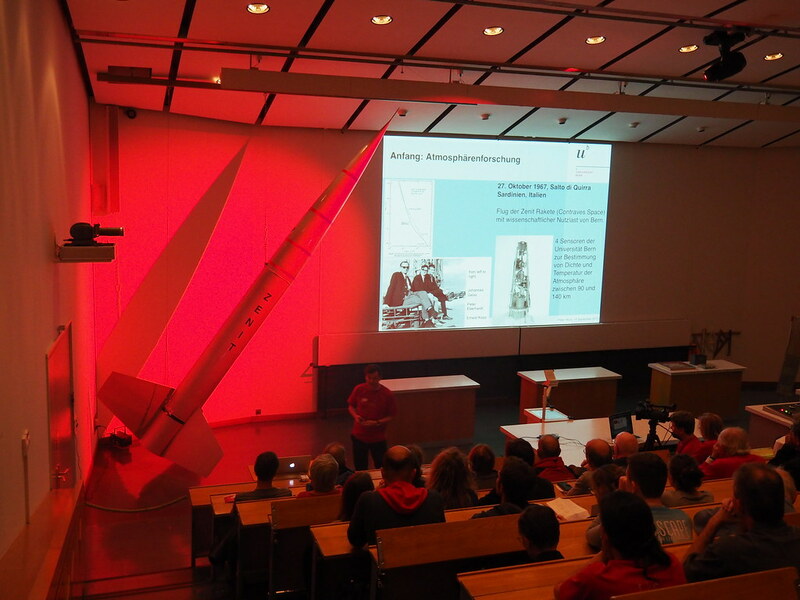 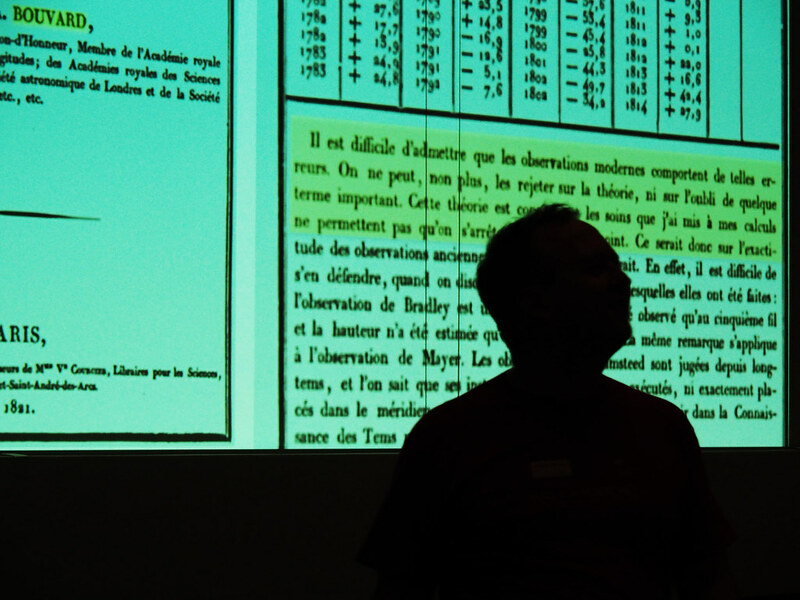 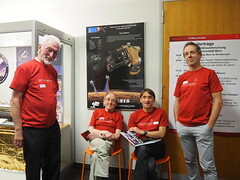 «We have carried the Swiss – or the Bernese flag – far out into space,» summarized Peter Wurz, leader of the Space Research and Planetology division (WP) of the Bernese Physics Institute, in his talk. 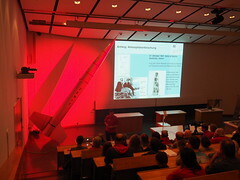 The Zenit rocket attached to the ceiling of the crowded lecture hall attracts all the public’s attention. 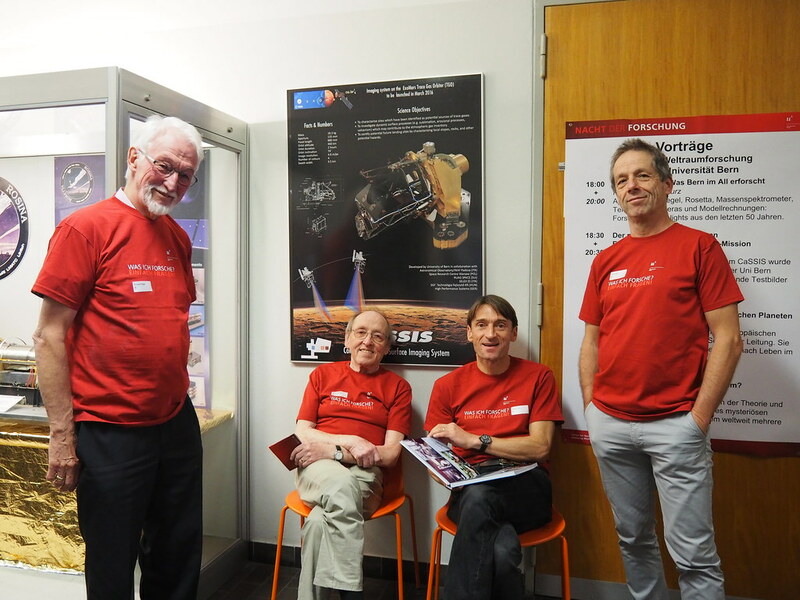 Immersed in red light, it even emits a little bit of smoke – a perfect start for looking back on 50 years of space research. A similar rocket produced by Contraves in Zürich launched the first Bernese instrument for space research on 27 October 1967. 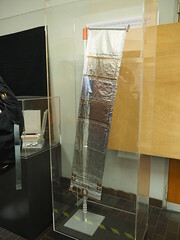 «Our payload was simple, it measured the density and temperature of the atmosphere between 90 and 140 kilometer,» explains Peter Wurz, who also presents the famous solar wind experiment that was the only non-American experiment aboard the Apollo 11 mission to the Moon. 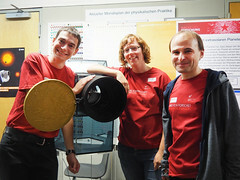 See podcast: https://tube.switch.ch/videos/094190b9 . 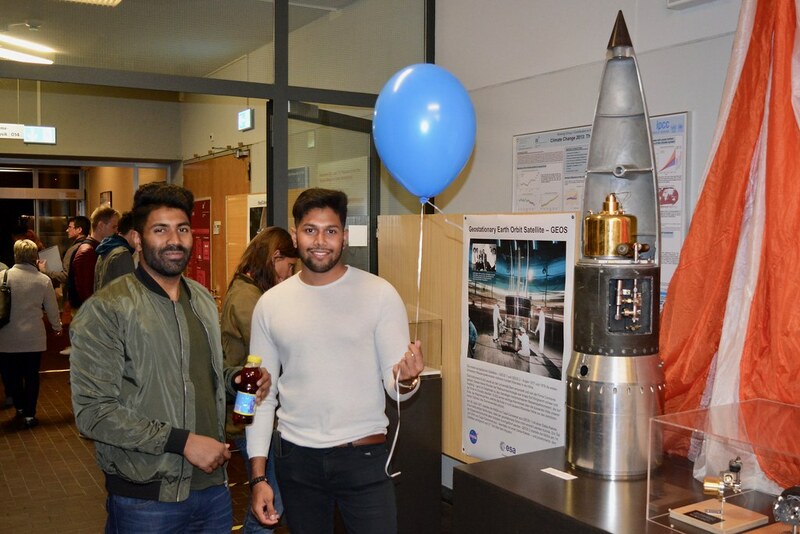 Whereas the full-sized foil is a replica, the precious smaller piece in a transparent box has really travelled to the Moon and back, before it was analysed in Bern to find new results about the chemical content of the Sun. 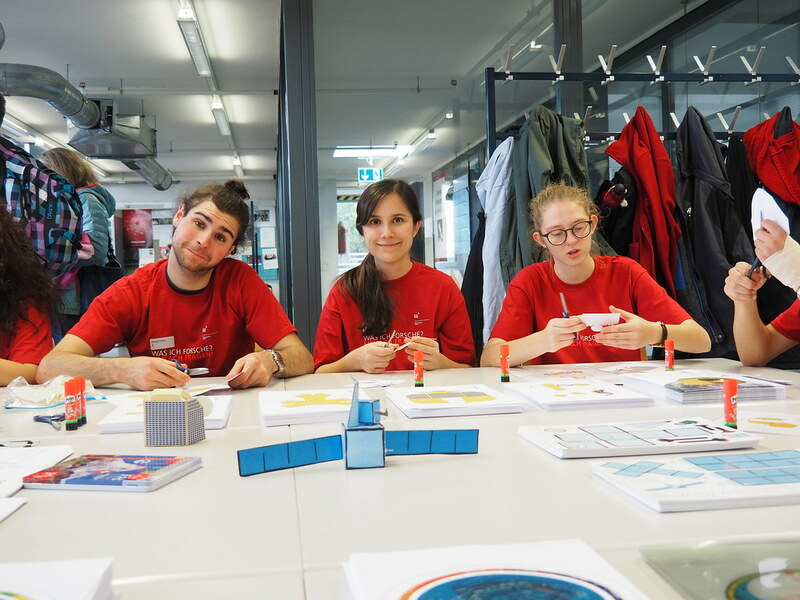 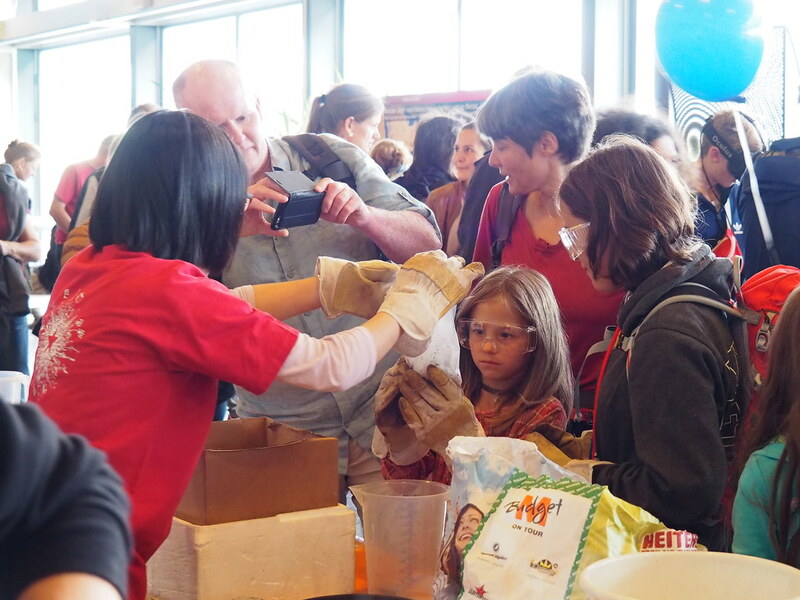 The Bernese speciality is building mass spectrometers as the one aboard the comet probe Rosetta. 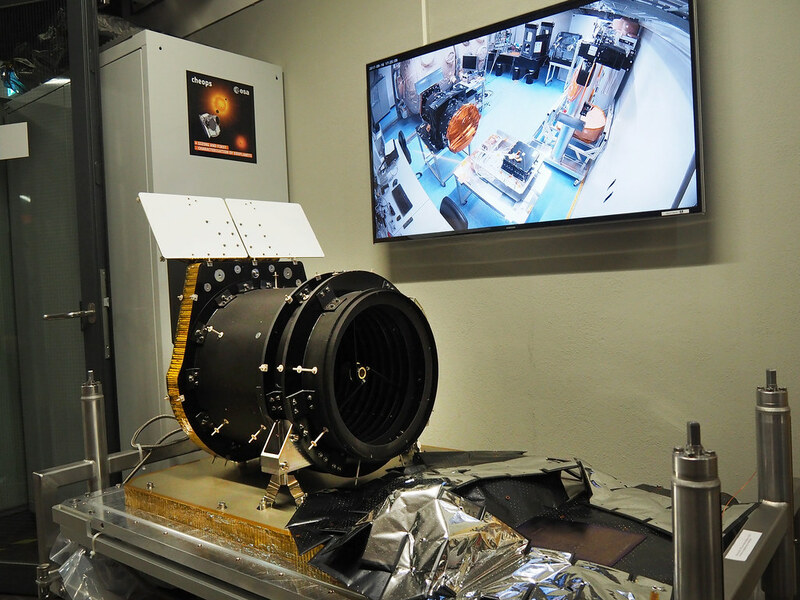 Another one of these high-precision instruments will be sent to Jupiter’s icy moons with a spacecraft called JUICE (Jupiter Icy moons Explorer). Launch is planned for 2022, arrival in 2030. 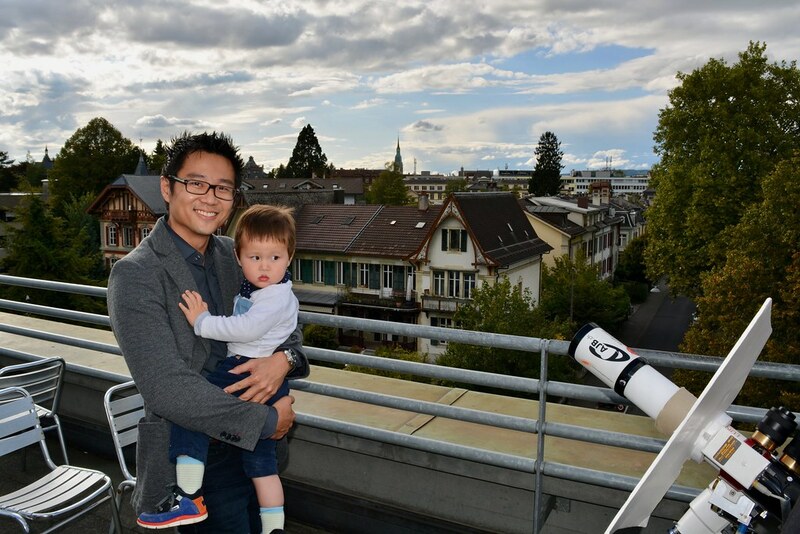 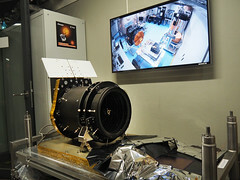 Already on site is the Mars camera CaSSIS that was built in Bern. 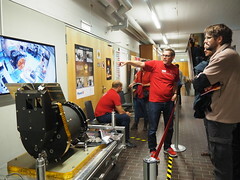 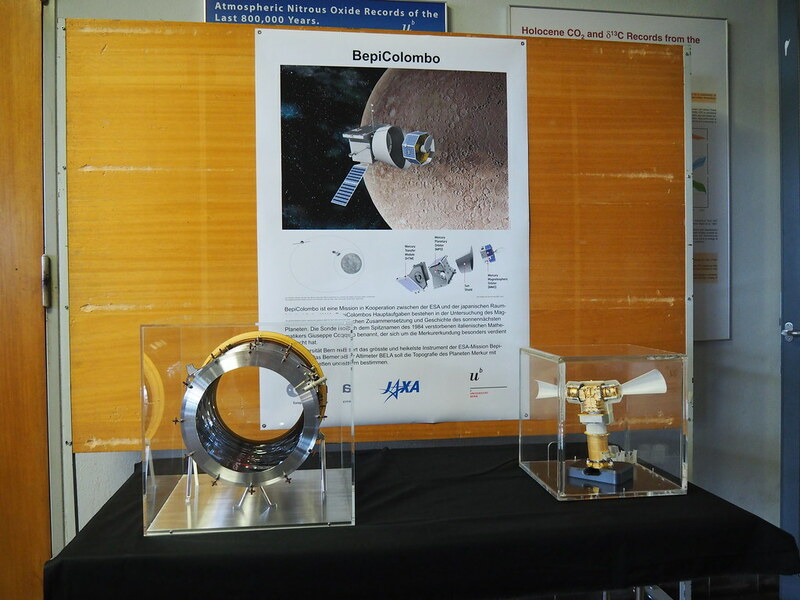 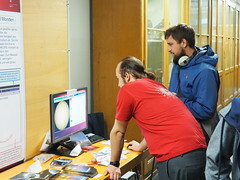 First images show that the Colour and Stereo Surface Imaging System works very well while orbiting Mars, as Nicolas Thomas, Director of the Physics Institute of the University of Bern and Principal Investigator of CaSSIS explained in his lecture showing the way CaSSIS works by performing a little dance. 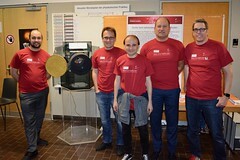 See podcast: https://tube.switch.ch/videos/2dd4b9d1 . 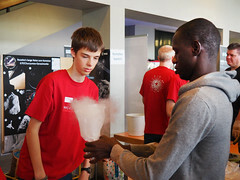 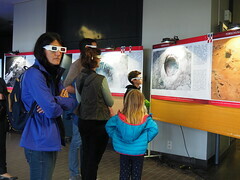 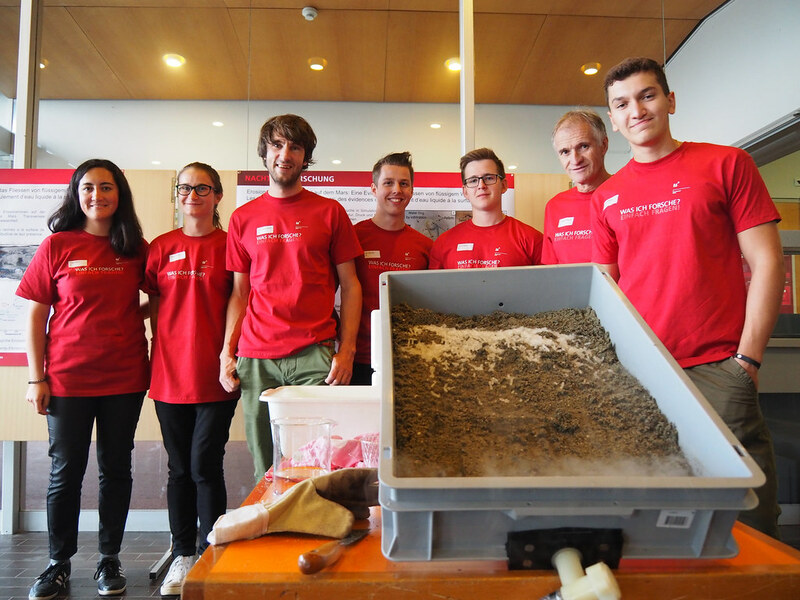 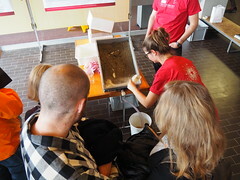 In the exhibition, visitors feel like walking on Mars thanks to 3D glasses and in an experiment with sand, dry ice and water researchers reproduce a possible formation process of Mars gullies. 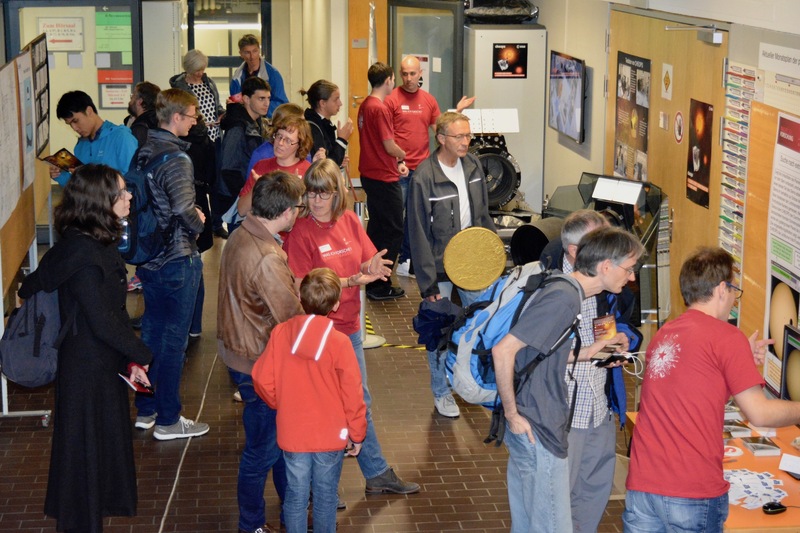 As CHEOPS will observe planets that are light years away, our own solar system still has surprises in store. 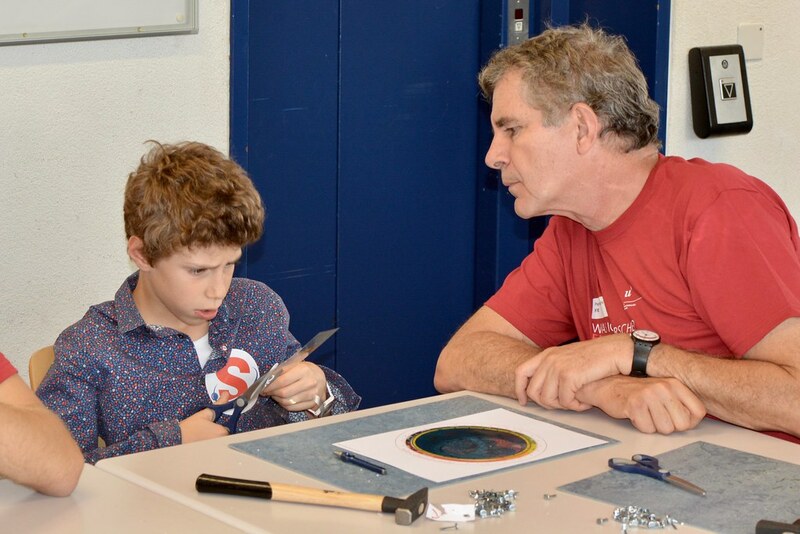 Maybe there exists a ninth planet far out, beyond Neptune. 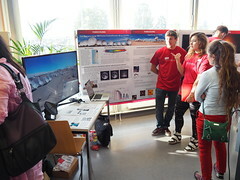 This planet would be a mini ice giant, a smaller version of Uranus and Neptune, no pleasant place with a temperature of –226 degree Celsius, as Christoph Mordasini, Professor at the University of Bern, explained. 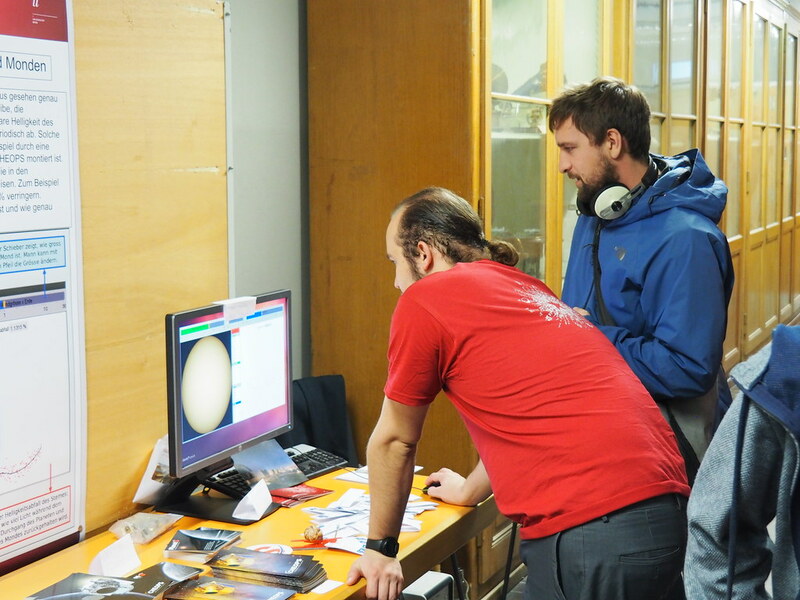 At the moment, the large Subaru Telescope on Mauna Kea in Hawaii is looking for Planet 9. Its most likely position is in the constellation of Orion. 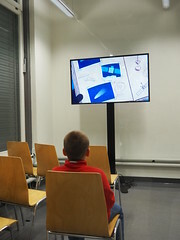 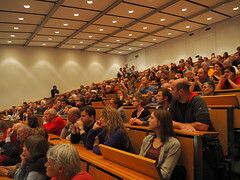 «If you want to search for it yourself, you have to look there,» Christoph Mordasini advised the audience at the end of the lectures. 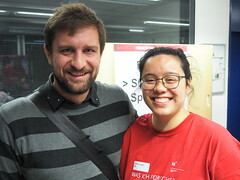 See podcast: https://tube.switch.ch/videos/0823cf36.